Time to check out our Michael Kors MK3355 ladies Caitlin watch! Get a Michael Kors MK3355 ladies Caitlin watch. 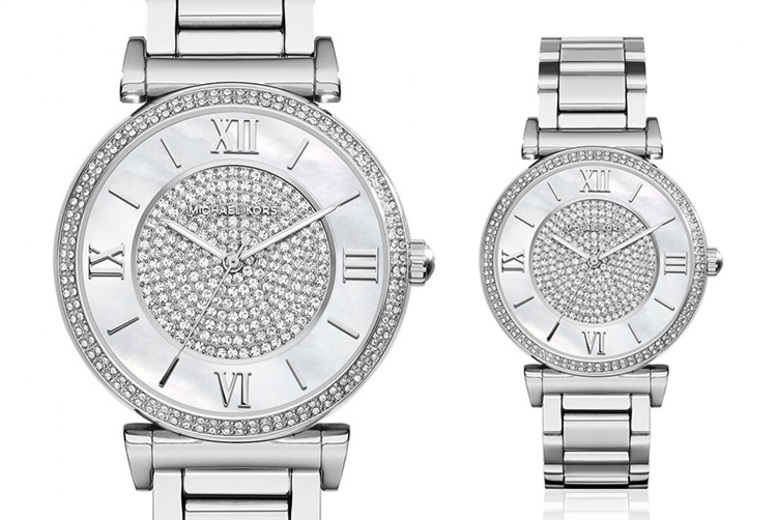 36mm stainless steel case with a crystal-encrusted dial. Stainless steel chain bracelet with push button clasp. A classy gift for her!